BANGKOK, 2015-2-23 — /Travel PR News/ — The Pacific Asia Travel Association (http://www.pata.org/) (PATA) Face of the Future (http://www.pata.org/human-capital-development/face-of-the-future/) award is now open for submissions. The winner will be invited to join the PATA Executive Board as a non-voting member and observer for a one year term at the invitation of the PATA Chairman. The recipient of the PATA Face of the Future 2015 award will also receive global media exposure via PATA’s communication channels and, courtesy of IMEX, complimentary round-trip economy flight to Frankfurt, up to three (3) nights accommodation in a centrally located hotel and a ticket to IMEX (http://www.imex-frankfurt.com/) , May 19-21, 2015 including the IMEX Gala Dinner. 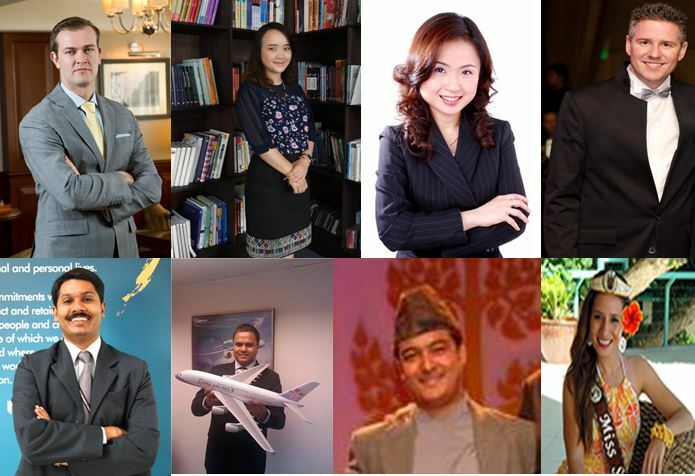 The 2015 PATA Face of the Future Award will be presented at the PATA Awards Presentation during the PATA Annual Summit 2015 (http://www.pata.org/portfolio/pata-annual-summit-2015/) on April 24, 2015 at Hong Zhu Shan Hotel, Leshan, China. The deadline for submissions is March 2, 2015. * Aged 35 and below, as of March 2, 2015. * Working for a PATA member organisation (in good-standing as of March 2, 2015). * Undertaking post-graduate travel and tourism studies at a PATA member educational institution. * Demonstrated commitment to the sustainable development of the Asia Pacific travel industry in a spirit compatible with PATA’s mission. The finalists will be judged by former PATA Face of the Future Winners, external judges, and PATA management. 1. The candidate him/herself OR a third-party person can make the nomination. 2. No entry form is required. Simply submit a nomination letter, along with the nominee’s full professional contact details and bio-data with photo (JPG format, 300 dpi resolution, maximum 500KB total file size), in soft copy only (DOC or PDF file; maximum three pages). 3. Submit a video (up to three minutes in length) detailing the nominee’s experiences to date and aspirations for the future of the travel and tourism industry. 4. Please email the entry, clearly labelled “PATA Face of the Future 2015 Nomination,” to Parita Niemwongse at fof@PATA.org (mailto:fof@PATA.org) by March 2, 2015. 1. Invitation by PATA Chairman to join the PATA Executive Board as a non-voting member and observer for a one year term. 2. Global media exposure via PATA’s communication channels. 3. Complimentary round-trip economy flight to Frankfurt. 4. Up to three (3) nights accommodation in a centrally located hotel. 5. Ticket to IMEX (http://www.imex-frankfurt.com/) , May 19-21, 2015. 6. One (1) ticket to the IMEX Gala Dinner. All entrants will be notified by March 10, 2015. For further information, please visit http://www.pata.org/face-of-the-future. This entry was posted in Business, Society, Tourism, Travel, Travel Management, Travel Marketing, Travel Services and tagged IMEX, IMEX Gala Dinner, PATA, PATA Face of the Future 2015. Bookmark the permalink.